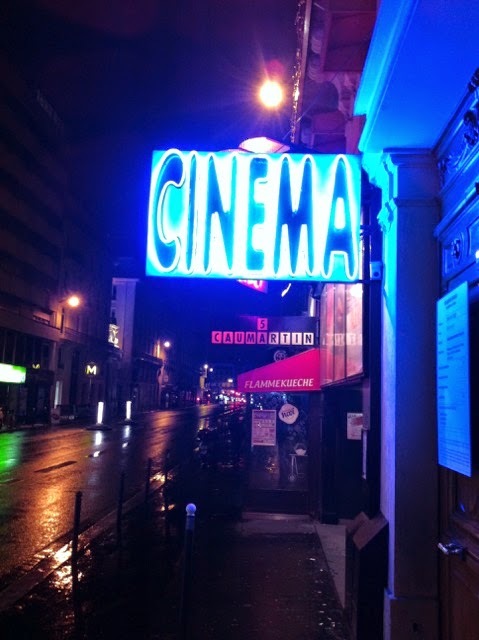 There is a Cinema just a stone's throw from the Gare Saint-Lazare aptly named Cinema Caumartin because it sits on the rue Caumartin (Duh!). In the lobby, to my surprise, when I went to see a film there a few months back, I discovered several large shelves overflowing with books of all shapes and sizes. The idea is simple: One is encouraged to take a book home but on condition that one replaces it with another one. 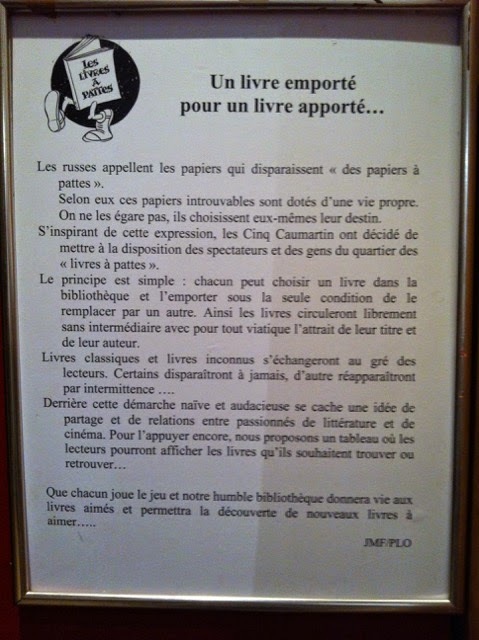 The idea for this comes from Russia where apparently (so reads the small sign below) when Russians lose personal papers (of any sort I presume) they are called "des papers à pattes" (papers with legs!) and they are not considered lost at all, but are deemed to have a life of their own as they simply go their own way leaving their owners forever perplexed. So in this spirit the Cinema Caumartin offers "Les livres à Pattes!"